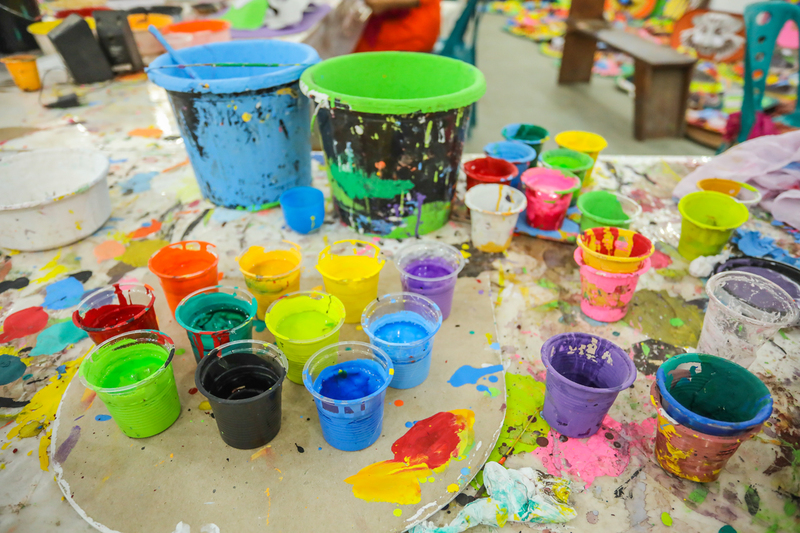 Khulna, Apr 12 (UNB) – More than 200 primary schools are running their academic activities in shabby and old buildings in nine upazilas of the district, putting lives of young learners at risk. Teachers and guardians said accident like the Barguna one may take place any time if the authorities concerned don’t take any initiative to repair those immediately. District Education office sources said they have identified 20 buildings as risky among 127 primary schools in the city. Considering their hazardous condition, classes of several schools are being held in some other school buildings keeping the risky ones closed. Besides, District Education office identified 37 risky school buildings in Koyra upazila, 14 in Dumuria, 30 in Terokhada, 19 in Dacop, 12 in Dighlia, 25 in Paikgachha, six in Fultola, 40 in Batiaghata and six in Rupsha upazila. On April 6, Mansura, a third-grader of PK Government Primary School and daughter of Najib HossainTalukdar of Gendamara village in Taltoli upazila of Barguna district, was killed and three others were injured as a portion of the ceiling of the school collapsed on them. Following the accident, the government on April 7 asked the district primary education officers to identify very risky buildings of govt primary schools across the country and inform it within 15 workdays. 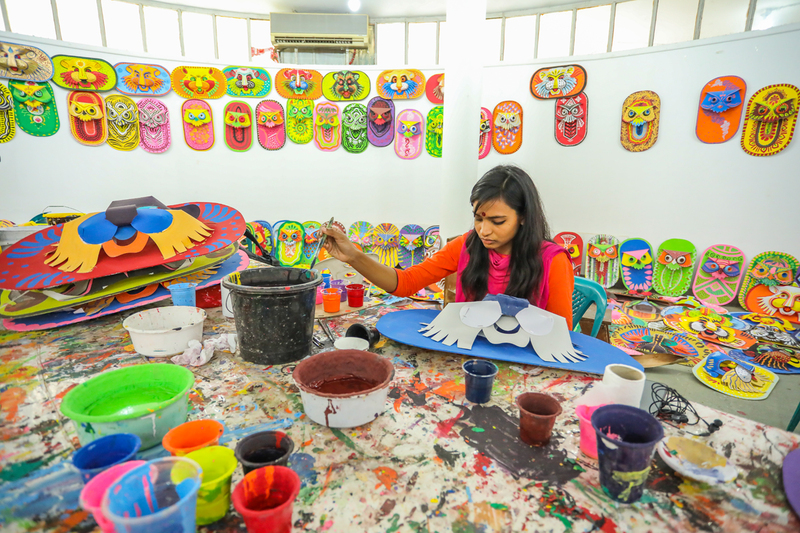 Dhaka, Apr 11 (UNB) - Preparations for bringing out the ‘Mangal Shobhajatra’ (procession of good wishes) is going on in full swing on the Dhaka University campus as part the Pahela Baishakh celebrations. 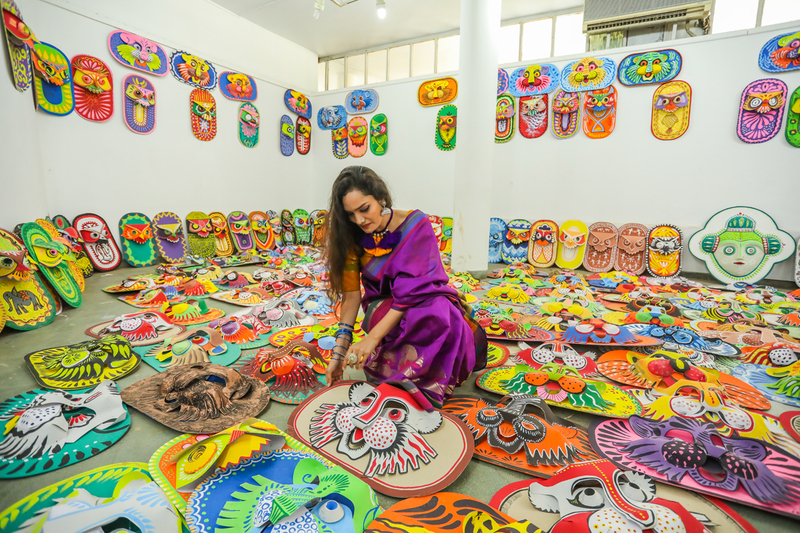 Every year, on April 14 (Bengali New Year), students of the Fine Art Faculty of Dhaka University bring out the ‘Mangal Shobhajatra’ which got the recognition from Unesco as an intangible cultural heritage in 2016. The festival symbolises the pride the people of Bangladesh have in their folk heritage, as well as their strength and courage to fight against sinister forces and their vindication of truth and justice. 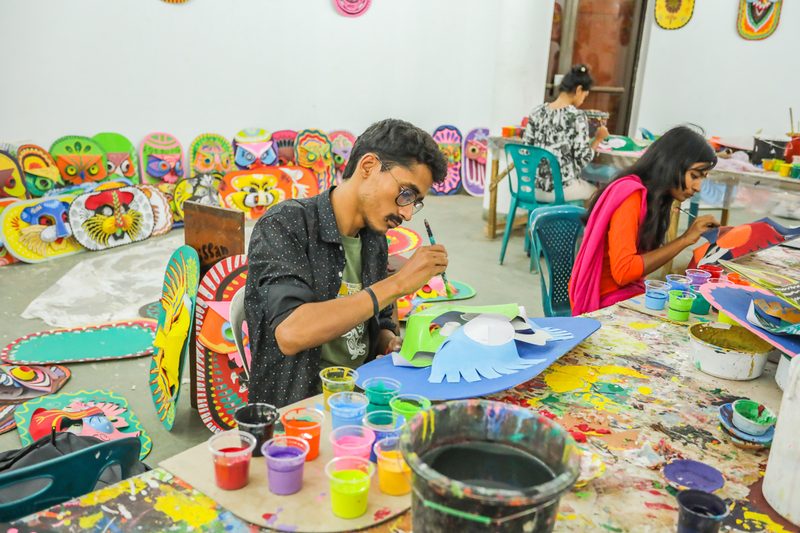 Visiting the Faculty of Fine Art of Dhaka University (Charukola), the UNB correspondent found the students busy making painting masks and replicas of birds, butterflies, charka, traditional dolls and other motifs of Bangladeshi culture. The Fine Art Faculty wore a festive look with enthusiastic presence of senior and junior students all working together to make the programme a success. Some 500 people, including present and former students and teachers, are taking part in the preparation of the grand programme which formally began on March 18. 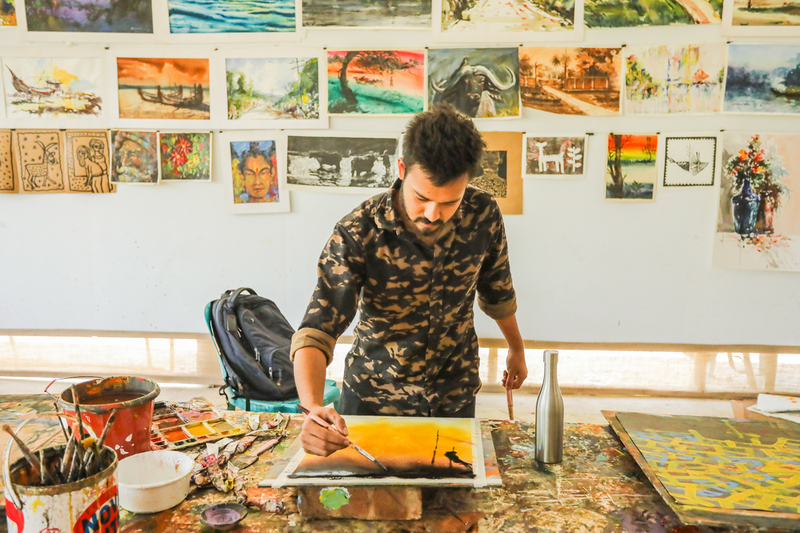 Adil Hasnat, a Master’s degree student of Drawing and Painting Department of Fine Art Faculty, said they have been working relentlessly from dawn to dusk to make the ‘Mangal Shobhajatra’ a success. 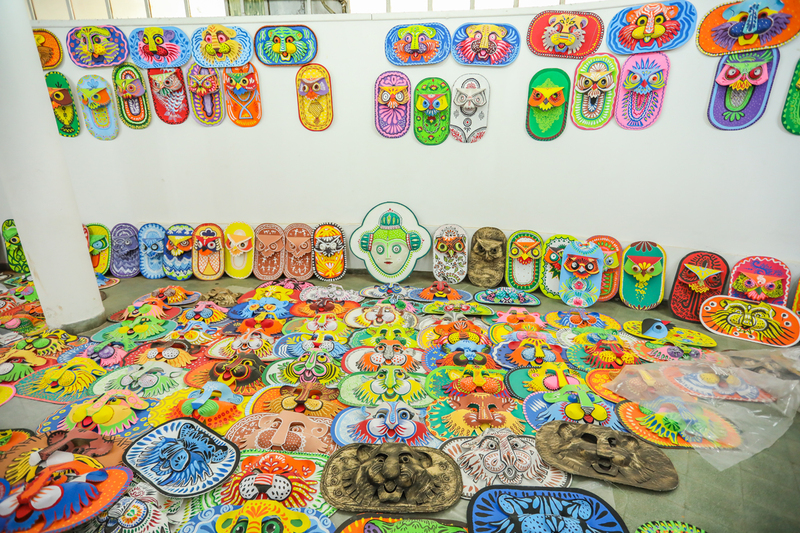 He said their main focus is on portraying the local tradition through paintings, replicas and masks which have been put on display for sale. Convener of the procession and dean of the Fine Art Faculty Prof Nisar Hossain said the primary works are going on. Chairman of the Department of Drawing and Painting Prof Shishir Bhattacharya is also supervising the preparation works. 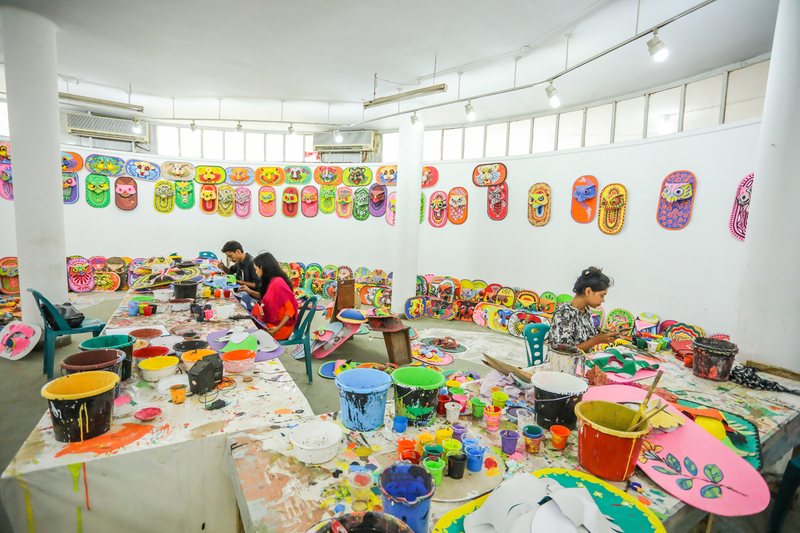 This year's preparatory works are being supervised by the students of the 21st batch of faculty. 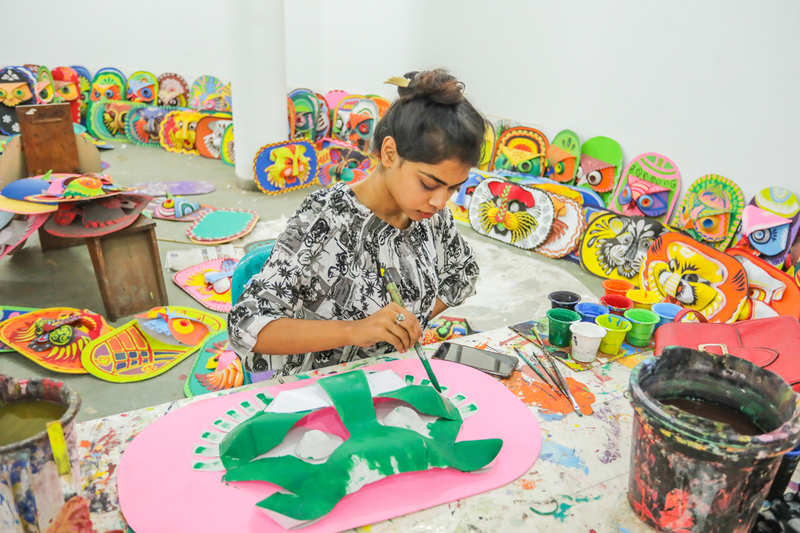 Their works have been put on display for sale to raise funds for bringing out the procession as they do not take any donation from any organisation. They are selling their artworks and paintings at different prices -- some are selling from Tk 4’000 to Tk 5,000 while some others from Tk 500 to Tk 2,000. Besides, Matir Soras are selling at Tk 500 to Tk 1,000, while big masks of king and queen at Tk 30,000, small masks at Tk 15,000, masks made of paper from Tk 500 to Tk 1,000, Mangal Shovajatra Pradwip at Tk 1,500, birds from Tk 100 to Tk 300 and locket at Tk 100 to Tk 1,500. Mangal Shobhajatra is usually brought out, led by the DU vice-chancellor, in the morning in a traditional manner with different themes as part of the celebrations of the first day of Bangla calendar. The decision to inscribe ‘Mangal Shobhajatra’ on Unesco's Representative List of Intangible Cultural Heritage of Humanity was taken on November 30, 2016 at the 11th session of the intergovernmental committee on intangible cultural heritage, held in Addis Ababa, Ethiopia. Dhaka, Apr 11 (UNB) - The National Board of Revenue (NBR) is going to formulate the Standard Operating Procedure (SOP) to ensure transparency and accountability in bond-related activities. SOP will allow export-oriented industries to get bond licence in one month and licence holder entities will get utilisation permission (UP) in three working days. Besides, the temporary and maximum tenure will be fixed for issuing general bond, changing or inclusion of lien bank, ownership transfer, inter-bond transfer of raw materials of machinery and changing of factories. A Bond Commissionerate official said NBR is formulating SOP to resolve the misunderstanding between its officials and businessmen. But businessmen said that the SOP alone will not bring massive changes unless punishment for violating the procedure by NBR officials is included in it. They pointed out that the earlier initiative of Citizen Charter did not yield any result. NBR sources said that the SOP draft had been sent to export-related trade bodies. The BGMEA, BGAPMEA, BPGMEA and a number of other organisations have already sent their observations. A committee, comprising officials from Dhaka and Chittagong Bond Commissionerates, has been formed to scrutinise these observations. The SOP will be finalised with this committee’s recommendations. The Bond Commissionerate was formed on November 1, 2000, to speed up export-related activities and complying with the demands of the businessmen. A second office was set up in Chattogram on November 10, 2010. They were established mainly to avoid duty complexities for importing raw materials by the exporters. Currently, the commissionerates issue bond licence for export-oriented industries, UP, and carry out annual audits. They also issue passbooks for foreign diplomats, audit diplomatic bonds and monitor supervised bond. An export-oriented industry will need to submit 29 types of documents to obtain new bond licence, according to the SOP draft. The documents include BIDA or related certificate, updated trade licence, IRC or ERC certificate, company TIN or BIN, fire license, boiler certificate, certificate from the Department of Environment, NID, return submission copy of the directors of the company, copies of gas and electricity bill of respective industry, design of the proposed bonded warehouse, LC of the installed machines, bill of entry and catalogue mentioning the production capacity of the machine. The same procedure has to be followed for factories set up in the EPZs. No fee is required for the application. Approval for the general bond will be given in five working days and no fee is required for this. Companies, whose audits have not been done in two years and who did not submit audit documents, can apply for general bond licence for three months. If the auditing is not done by this time, then they will be given 21 more days based on their requests. The additional time will be extended by seven days if audit is not done even by then. For readymade garments industry, the audit will be done by 90 days and related documents need to be submitted for that. Except for the RMG industries, the licence renewal fee will be Tk 9,000. For UP, documents such as back-to-back LC, sales contract or advance TT, pro-forma invoice, utilisation declaration, master LC or master sales contract and EXP have to be submitted. A Bond Commissionerate official said that they had a meeting with stakeholders and received proposals from some trade bodies after preparing the SOP draft. “Sometimes the businessmen tried to get licence or do the audit without submitting proper documents. At that time they felt being harassed when the officials ask for all documents,” he said. “The SOP will clearly mention all type of procedures for getting any type of service. Once it is implemented, the activities in the Bond Commissionerate will get a boost,” he added. Dhaka, Apr 10 (UNB) – The Working Committee on Anti-Money Laundering-Combating Financing of Terrorism has directed all the ports in the country to install scanners to examine incoming and outgoing goods to prevent the siphoning off money through export and import. At a recent meeting, the committee has also asked the National Board of Revenue (NBR) to make sure that the directive is implemented properly. According to the meeting minutes, Bangladesh’s stance, especially its related laws and reforms of institutional structures, will be evaluated at the upcoming meeting of the Asia Pacific Group (APG) on Money Laundering where the country has the scope to upgrade its rating, said Secretary General of the committee M Rizwanul Huda. The annual APG meeting will be held in August next where the organisation will review Bangladesh’s activities to check money laundering and combat terror financing. For this, a progress report and an action plan have to be submitted to the APG, and the working committee discussed the matter at the meeting presided over by Financial Institutions Division Secretary Asadul Islam. The meeting was informed that money laundering is taking place in the county through the under and over invoicing of international trading. At the meeting, the representative of the Anti-Corruption Commission (ACC) expressed grave concern over the money laundering and drew NBR’s attention to the issue. The NBR representative informed the meeting that the revenue authority has a plan to install scanners at all the ports of the country to examine all the import-export items. At the meeting, it was decided that scanners have to be installed in all ports to check import and export goods to prevent money laundering through over invoicing or any other means. Sources said the APG has put forward some proposals to upgrade the rating of Bangladesh's legal and institutional structures to prevent money laundering and combat financing of terrorism. To implement the proposals, the government has formulated a plan through a coordination committee. Different ministries are implementing the plan. The meeting was informed of the progress of the implementation. The Global Financial Integrity in its latest report said some US$9.11 billion was siphoned out of Bangladesh in 2014 while the amount was $61.6 billion between 2005 and 2014. It said this money was siphoned off through over invoicing, under invoicing, hundi and transfer pricing. According to the GFI, a Washington-based firm, a total of $34.12 billion flew out of Bangladesh between the years of 1990 and 2008. It means the country lost $1.8 billion in capital a year during that period, causing the tax authority to lose a huge amount of revenue. Tax Justice Network, a UK-based advocacy group, found that Bangladesh had lost around Tk 197,600 crore between 1976 and 2010 due to illicit capital flight.